The ability of our ear to hear sound by perceiving the vibrations caused in ear drum by the sound waves is well understood by scientists. The vibrations caused by the sound waves are converted to pulses and they are transmitted to the brain where they are recognized and understood by the temporal lobe of the brain. How the brain understands and distinguishes the sound is a matter which is not completely understood and it still remains a source of dispute between the researchers and scientist in this field. It has been found that a good number of people lack the ability to hear due to various reasons. They can generally be classified into two categories which are congenital and acquired. Congenital group contains people who were born into this world without capacity to hear. The other group consists of people who lost their hearing capacity at some point in their life. 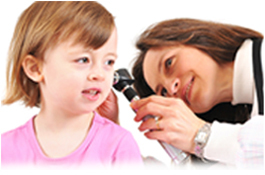 Hearing loss in such cases may occur due to an illness or by listening to very loud sound. Different types of hearing aids are now available which can help a hearing impaired person to improve his hearing capacity considerably. But these hearing aids will help only those who are having some impediments to hearing. But for persons who are completely deaf, these hearing aids cannot give any support or help in solving their hearing problem. Such persons will have to make use of their other senses or gesture language to communicate with other people and understand the world around them. Degree of deafness may range from mild hearing difficulty hear to complete deafness. They are generally classified into four categories which are detailed below. People who have a hearing loss of up to 40 decibels are considered to be as having mild hearing loss. Such people find it difficult to hear and understand conversations in low voices and in noisy environments. People who have a hearing loss of about 41 to 55 decibels are considered to be having moderate hearing loss. They will not be able to maintain a conversation without using a hearing aid. People who are having a hearing loss about 71 to 90 decibels are included in this category. Even if they use hearing aids they will have difficulty in understanding the conversation and they will make use of lip reading to understand the matter that is being conveyed to them. People in this category are completely deaf and their hearing loss will be more than 91 decibels. They will be compelled to use gesture language and make use of other sensory organs to overcome their difficulty to hear. Another classification regarding the loss of hearing power is discussed below. In some cases hearing disability is noticed only in one of the ears. Such a case is known as unilateral. When both the ears are affected it is known as bilateral. This classification is based on whether the hearing loss had occurred before the person learned to speak or not. If it had occurred before starting to speak it is known as prelingual and the other one is known as post-lingual. If the hearing loss in both the ears is of the same magnitude then it is known as symmetrical and the other case is known as asymmetrical. A hearing loss that increases over time comes under the category of progressive hearing loss and if the hearing loss has occurred all of a sudden it is known as sudden. In fluctuating hearing loss the intensity of the hearing loss fluctuates over a period of time where as in the stable category the hearing loss does not fluctuate and remains in the same intensity without any variation over a period of time. Congenital category includes persons who were having hearing problems at the time of birth and the other category includes persons who had acquired the hearing disability some years after they birth.